It's important for job seekers to know how to prepare for a panel interview. That's because companies like to involve as many relevant personnel as possible in screening job applicants. 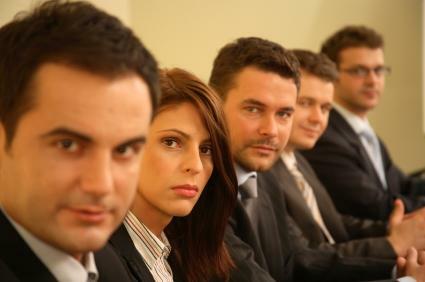 While separate interviews are sometimes scheduled with different company representatives, panel interviews have become quite popular. Recruitment of experienced candidates for jobs often includes all of the staff members who would interact with the prospective employee on the job. The requisite interviews with all of the relevant employees could easily fill up a whole day with appointments, or at least require several visits. Yet companies don't always have the time and resources to devote to multiple interview appointments. Panels can be more time efficient for large corporate employers. Also, public sector recruitment sometimes relies on panel interviewing in order to make sure that the hiring process proceeds democratically, equally addressing the needs of all interested parties. This type of meeting can seem overwhelming without careful advance preparation, yet preparing for a panel interview doesn't differ too much from how one would prepare for a succession of interviews. The important thing is to find out as much as possible about all of the people who will be participating in the panel. At the very least, try to find out their names and job titles ahead of time. At the time that the interview is scheduled, or thereafter, call human resources and ask for this information. Human resources staff will consider your asking for this a sign of courtesy and professionalism. Sometimes you might be able to obtain additional information about the people who will be participating in the panel. If so, you'll want to find out what each person's specific responsibilities are and how they expect to work with the employee-to-be. If you can, try to learn more about the panelists' respective career histories, because that might influence their interviewing style. You might be able to ask human resources how long each of these individuals has worked for the company and what position each person holds. Once you know at least the names of everyone who will be interviewing you, try doing Google searches on their names to learn more about them. If search results turn up more than one person with the same name, add the company and job title to the query to narrow things down. Try searching for the individuals on the professional networking site LinkedIn. If they turn up on that site, you might be able to figure out where they have worked in the past and whether you know anyone in common. Either of those sets of data could help you think of things to say that might please the interviewers. Of course, it's very possible that some or all of the interviewers might not show up among the results of searching Google or LinkedIn. Ultimately, no amount of information about the individual interviewers will help you if you haven't adequately researched the company that you've applied to. Look for news articles about the company and read them thoroughly. If the company is publicly held, you should be able to obtain annual reports and quarterly earnings announcements online. After you've filled your head with information about the hiring company and the interviewers, it's a good idea to try to anticipate questions you might be asked and prepare answers to them. Ideally, you want to write out the questions and answers, because that will help solidify your planned answers. Of course, it's hard to guess exactly everything that people will ask you, but hopefully you can plan enough possible answers that you'll be able to mold them to fit other queries. Ultimately, you want to be relaxed and confident at the time of the interview. An important part of how to prepare for a panel interview is knowing when to stop preparing and take a break. Try to relax the night before the interview so you can get a good night's rest. If you don't get enough sleep or if you're noticeably stressed out during the meeting, that could undermine all of the advance preparation you've done. Think about the people on the panel as potential future coworkers who may become your friends. Let that keep you relaxed and focused on enjoying the interview, so that your personality will demonstrate that you'd be a pleasure to work with.